Say goodbye to the stressed-out cat that’s kept in a cage next to the barking dog. 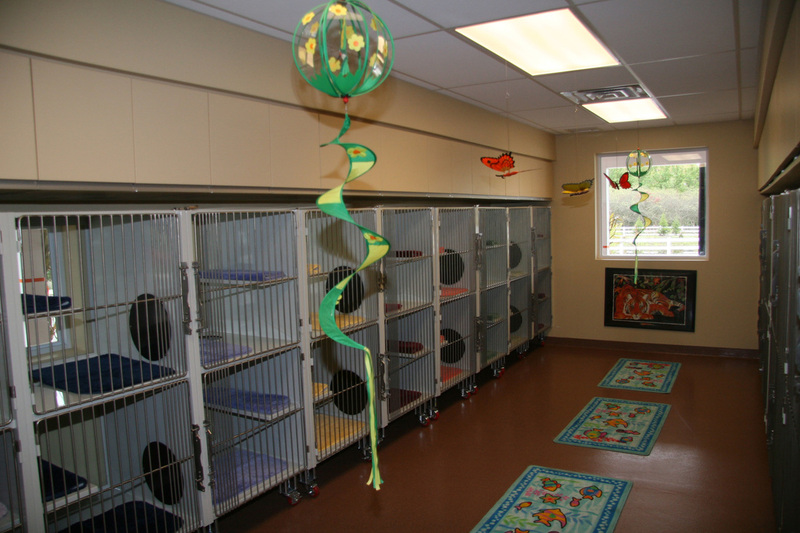 Our feline guests stay in luxurious, spacious accommodations. Each suite is multi-level for their climbing pleasure, and two cats from the same family can stay together if you choose. Cats are housed together, away from any dogs. Soothing classical music plays quietly in the background during the day. Mobiles and other colorful scenery are present to provide hours of entertainment. Feel free to bring your cat’s favorite toys and special treats. We always provide, at no additional cost, top-quality Hill’s Science Diet food.